Which blog theme will you choose? Today we have a guest post for you from ten-year-old Lexie. Lexie’s a very experienced blogger and she’s got advice for anyone who is starting a new blog. Lexie’s looking at one of the toughest questions facing a new blogger – just what is your blog going to be about? 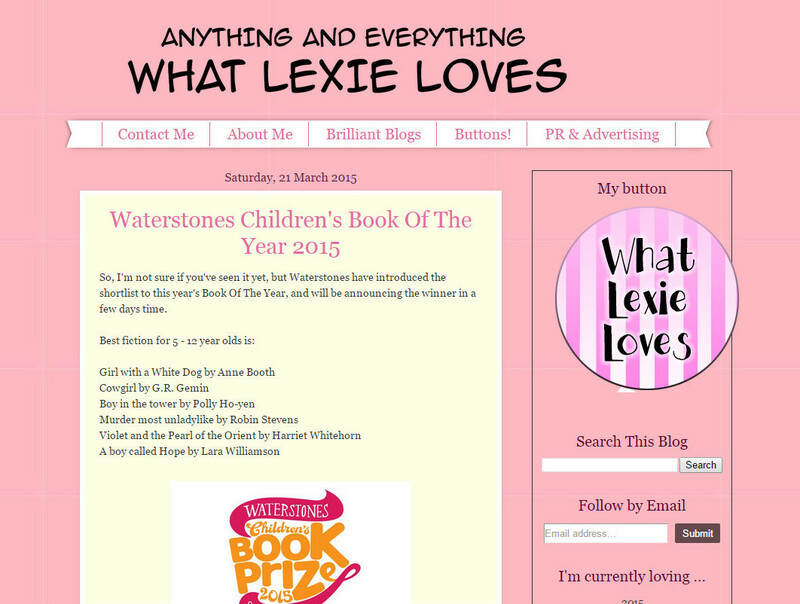 Hi there, my name is Lexie and I blog over at What Lexie Loves. I am a huge fan of Kids’ Blog Club and am lucky enough to be guest posting today. I thought, on the mention of Starting A Blog, I could do a post today on blog themes. All blogs have to have a theme in my opinion, even if it is Lifestyle, or Random. When choosing a theme there is a ‘Golden Rule’, which is, only decide on something you like or feel passionately about, from a wide subject like films to a particular one like a favourite animal. However, don’t pick one that is too specific. What if you begin a blog on dolls when you’re 7 and then think that on your 8th birthday, you suddenly decide dolls aren’t cool anymore, and then you start a whole new blog, with no followers or readers? But sports, words, nature and story blogs are all great options too. Just, remember, go with your heart, not just my recommendations and CHOOSE SOMETHING YOU LOVE! Thanks again to Joanne for letting me write here, and if you want to see more of me check out my book/film/play/fashion, okay, I admit, I don’t have a specific theme, though I suppose you could call it a review blog. So it seems the answer is quite simple in the end – blog about what you love. Thanks so much to Lexie for her fabulous post today. Get in touch if you’re a kid blogger and would like to be featured here.